We are an Academy of Underwater Photography but we offer the full range of products to suit all scuba divers who are visiting Bali, Indonesia. Our dive centre, The Underwater Tribe, specializes in creating custom scuba diving and underwater photography based holidays in Bali and throughout Indonesia. We offer a professional diving product with an eye on safety, customer service, and knowledgeable, safe, and friendly customer service. 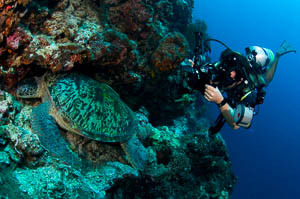 Our range of products includes customized Bali scuba diving and underwater photography tours, underwater photography classes for beginners as well as advanced photographers, on location underwater photography workshops on liveboards and resorts, PADI scuba diving classes, and the best Bali safari dive tours on the island! Booking a trip with the Underwater Tribe will give you peace of mind, we have spent our entire careers as professionals in the scuba diving and resort industries; we have the local knowledge about Bali, Indonesia, scuba diving, and underwater photography to present the best available options for anything and everything related to scuba diving in Indonesia. Our philosophy about helping folks plan their best holiday adventure is that “flexibility is king”; therefore, we always work with our guests to offer a custom bespoke dive trip to ensure they enjoy the best that Bali and Indonesia has to offer. Looking to scuba dive outside of Bali? We have years of experience living and leading trips throughout Indonesia in such far-flung locations as Bunaken, Lembeh Strait, Raja Ampat, Komodo, Ambon, and Alor. We often create group scuba diving trips to these locations either in resorts or on liveboards as well as offer “underwater photography workshops” every year in select locations. Please join us if you are interested in small group travel or improving your underwater photography. Mike Veitch is a Canadian national who has been living in the Indo-Pacific since the late 90s and no longer believes in snow or shoes and certainly not snowshoes. Starting his diving life in the Republic of Palau in 1999, Mike has since worked in Fiji, Tahiti (Tuamotu), Yap, and Indonesia with many travels in between. 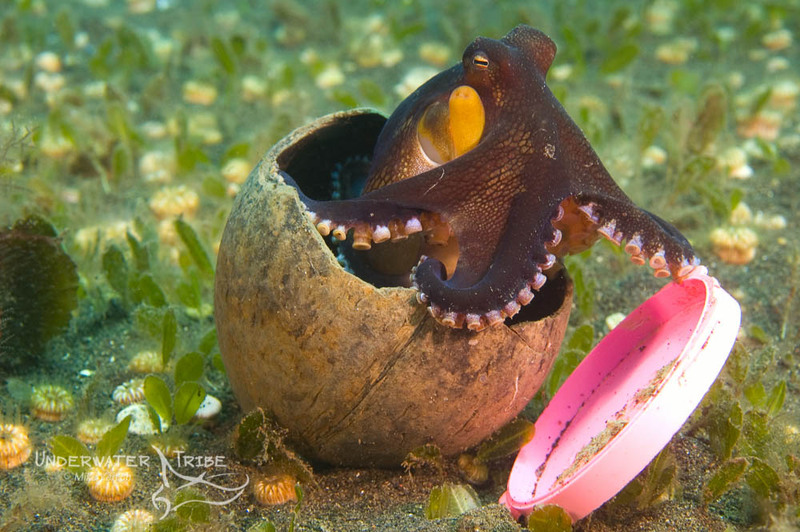 Mike is a well known underwater photographer who contributes to many international magazines with his photography and writing and won first place in the “World in Our Hands” category of the prestigious BBC Wildlife Photographer of the Year awards in 2013. 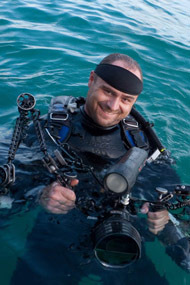 With a passion for teaching others the art of underwater photography, Mike leads all of the Underwater Tribes photographic trips and seminars and you will quite often find him underwater with a slate in hand adjusting someone else’s strobes! 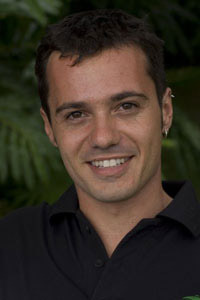 Luca is Swiss national of Italian origin who, at the age of 12, took his first dive certification in Italy. In 2000, at the age of 18, he moved to Perth, Australia for a year to learn English and become a Scuba Instructor. He began his professional diving career in 2001 when he began working in the Maldives and then moved on to Thailand, and the Red Sea before landing in Indonesia in 2005. Luca has many years experience of managing all aspects of dive operations from teaching, operational management, employee relations, and especially guest relations. His enthusiasm for diving, photography, and life in general is contagious and he instantly creates a great rapport with all of his guests. When not diving or photographing underwater, he can be found surfing Bali’s amazing waves or exploring the beautiful interior of the island of the gods! What sets us apart is the personalized service we provide. Our guests are “not just another customer” but rather a “member” of The Underwater Tribe! We build life long relationships with our members and try our best to meet your every need while traveling with us. All of our destination adventures are personally led by Luca or Mike (and sometimes both) to ensure that every detail is looked after during your trip. Our job is to look after the “day to day” hassles that may and can happen while traveling, therefore, you are free to enjoy your holiday without having to deal with the stress of reservations, transport, or a myriad of other details. During our travels together, the idea is not what we are trying to do but rather what YOU want to do! Our hallmark is flexibility of schedule and itinerary in order to make the most of every situation. We customize our Bali safari trips with your input to visit and experience the best that the island has to offer. We work with local professionals who will work their hardest to make sure you have the best experience possible. Our liveaboard based trips are planned to coincide with ideal conditions in the areas we have chosen and we meticulously plan the diving schedule in order to visit the best reefs at the peak time. We are here to facilitate anything and everything you may need during your time with us, if you feel something is missing just let us know and we will aim to provide!